Fethiye is one of the most important tourism centers of Turkey. It is one of 13 districts in Mugla, Province. It hosted Lycia and Caria civilizations, therefore, there are many ancient ruins. British tourists are very common in Fethiye, therefore, all nameplates are in English and prices are in the pound. Hisaronu belongs to Oludeniz. Oludeniz is an important place and one of the main tourism centers of Turkey. Hisaronu is about 57 km away from Dalaman Airport and it takes 75 minutes by Dalaman Airport transfers. The second nearest airports are Bodrum Milas Airport and Antalya Airport. Both of them are about 215 km away from Hisaronu and reaching takes 3 hours by Hisaronu Airport transfers. Hisaronu is about 14 km away from the Fethiye city center and there are regular services all day to Hisaronu and other towns. Hisaronu is one of the towns of Oludeniz. It is the first come to mind place about nightlife. Hisaronu Bars’ Street is the frequented point of tourists. It is a very preferred place to stay because close to the city center and sea. 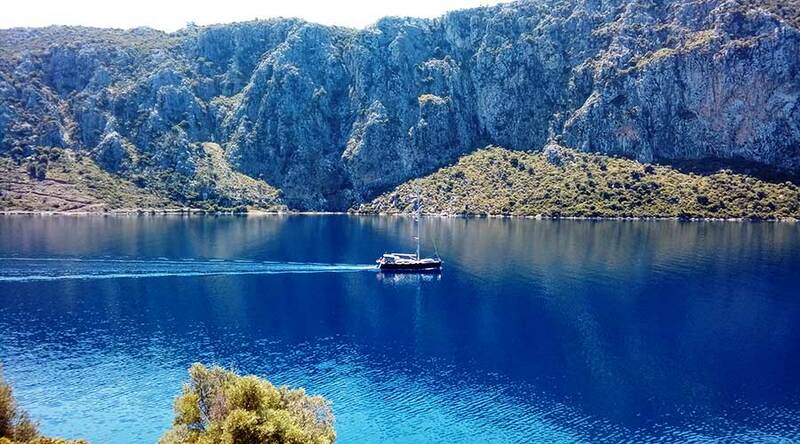 There are a lot of boat trips to Oludeniz and Butterfly Valley. You can find services to other points anytime. Also, you can buy souvenirs, regional handmade stuff or imitations of many famous brands. Oludeniz and Butterfly Valley are visited by millions of tourists every year. Butterfly Valley is a world-famous natural beauty. There are over 80 butterfly species. It is at the foot of Babadag and all region is a protected area because of lots of endemic species in there. Also, it is an important area for scientists. Botanists and etymologs do research in this area. You can reach by boats from Oludeniz. There is not any hotel but you can go camping or stay at bungalows. It is 55 km away from the city center of Fethiye. Also, you can do paragliding at Babadag. It is one of the best places for paragliding in Turkey and many action lovers come to Turkey for paragliding. You can go to Kas from Fethiye. There are services every day. Kas has many ancient places and good beaches. It is another favorite place of British tourists. Kaputas beach and Patara beach are the most popular beaches in Kas. atara beach is the longest beach in Turkey. Also, the longest and most famous trecking path, Lycian Path, starts from Hisaronu and finishes at Antalya. Kas region is an important part of the path. You can visit a lot of ancient city on this road or you can choose a shorter parkour on the road. Kas is about 110 km away from Oludeniz. It takes 2 hours. Also, you can visit Marmaris which is another touristic district of Mugla. Marmaris is a bit cheaper than Fethiye because Russians prefer to visit there. Marmaris Bars’ Street is as famous as Hisaronu. Grand Bazaar is very famous in Marmaris it is a shopping paradise. You can visit Marmaris Castle and walk in the paths blue-white streets which are going to the castle. You can shoot good photos here. Icmeler beach is very beautiful to spend all day with its blue sea and enjoyable beach clubs. Marmaris is 141 km away from Oludeniz and there are regular services every day. Rain transfers offers you airport transfers from all international airports. You can choose Dalaman Airport, Bodrum Milas Airport or Antalya Airport to reach Hisaronu.